Great Accommodation ... We had great experience with Borneo Global Backpackers while getting enough rest from our previous trips. The place is so convenient to any nearby parks, food shop and banks. The staff is so helpful and accommodating. Breakfast is included. 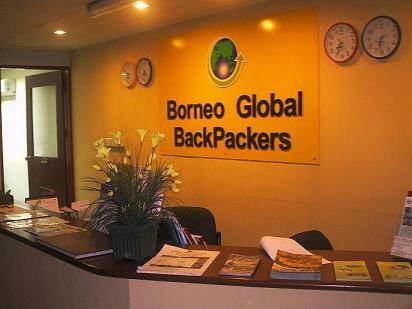 Welcome to Borneo Global Backpackers! 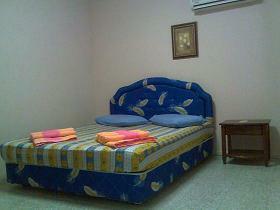 We have 4 Bed Bunker Rooms, Twin-Bed and Double Air-Condition Rooms. We offer FREE WIFI Wireless Broadband Internet. We are fully equipped with Dinning Area, Bar, Private Internet, DVD Player, Satellite TV, Hot water showers and Convenient Counter for our guests. 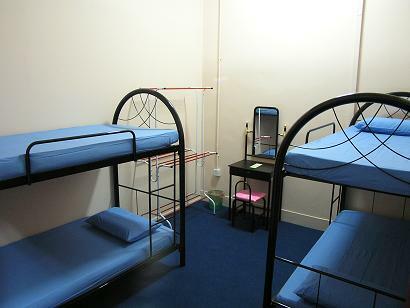 We offer clean and comfortable accommodation. It is nicely decorated, very modern and suitable for large group with total 24 rooms (max 70-80 pax) We offer laundry service assist by housekeeping, as well as safe deposit box, travel information, no charge for baggage room and 24 hrs securities. Situated in the city of Kota Kinabalu with buses plying to and forth. We are within walking distance to Banks, Government Offices, Airlines Offices, Food Outlets, Shopping Malls, Entertainment Outlets and Jetty to Tunku Abdul Rahman Park Islands from (Sutera Habour Resort). We are the only Backpackers / Hostel closest to State Museum and Queen Elizabeth General Hospital within 10 mins walk. Only 8 minutes by bus to the Tanjung Aru Beach from the hostel. Give the taxi driver the address and tell him it is very close to the State Museum and near KFC building. Within 15 mins. Give the taxi driver the address and tell him it is very close to the State Museum and near KFC building. Within 8-10 mins. We are within walking distance to Banks, Government Offices, Airlines Offices, Food Outlets, Shopping Malls, Entertainment Outlets and Jetty go to Tunku Abdul Rahman Park Islands from (Sutera Habour Resort).